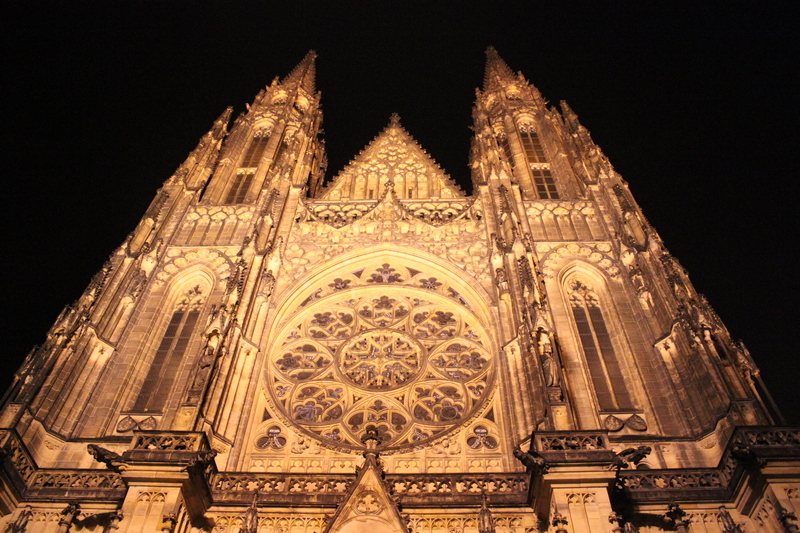 This entry was posted in Blog, Blogging, Travel, Travel Photos and tagged 50 Year Project, Blog, Blogging, Czech Republic, Europe, Life, Night Photography, Photography, Prague, Prague Castle, Travel, Travel Blog, Travel Journal, Travel Photo. Bookmark the permalink. I didn’t wander over to see Notre Dame at night. I did climb to the top on a really cold day. It was fun–just wish I had more time at the top but dang it was cold! It’s so pretty. I love the way it is lit up at night! It changes the whole feel of the city! Oooooh, pretty!! I would love to see that :). Maybe :). I would like to do a lot of travelling in the coming years now that the kids are basically grown. You and Mike have earned it! There has to be a reward for being great parents. woaaah this photo is stunning! It’s a special place, Daniel. Captivating! The angle in which the photo is taken puts the size of the Cathedral in perspective. And the illumination against the black sky! One word for it: Glorious! It was amazing to see how big it is! Oh, that’s a really nice shot, and the angle is cool too!